Emmett, Jonathan The Princess and the Pig. Walker Childrens, 2012. PICTURE BOOK. A story of mistaken identity. 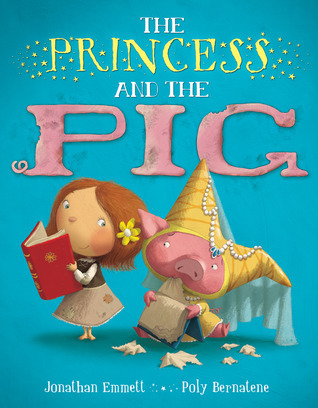 One day Princess Priscillia is switched with farmer's pig, Pigmella, by mistake of course. The farmer and his wife couldn't be happier. The king and queen...try their best to teach their "daughter" proper behavior and fix the curse that has obviously befallen her. What a fun story! Drawing from well-known fairy tales, there is a lot of humor. And the illustrations are just wonderful.